Today's digital immersion focus was sketchnoting - something I have been doing myself without even realising it! Sketchnoting can be utilised for jotting down key ideas when learning something new, planning out new knowledge or revision. 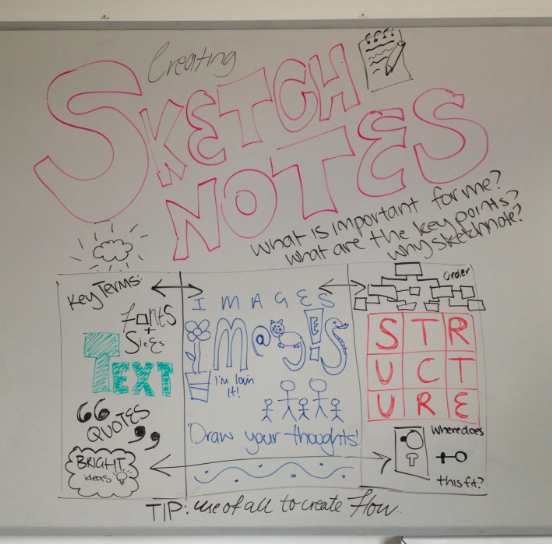 To sketchnote, one draws and writes down notes that are important, things we need to remember or continue to think about. I have enjoyed having the opportunity to create some sketchnotes of my own, and my own thought process. There are two types of sketchnoting, which I will be able to utilise as a learner myself, and within my classrooms; live sketchnoting and summary sketchnoting. Live sketchnoting would be useful when in a lecture, or a presentation when attempting to retain a lot of information. This is sketchnoting in the moment, when something is actually happening, and recording the key ideas or take-aways from the session. 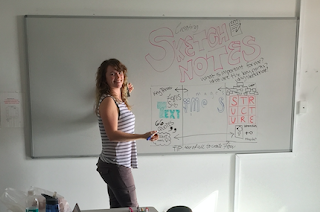 Creating sketchnotes in the moment would be useful for students when I have a lot of content to teach, and feel it important their full attention is on me and what I have to say. 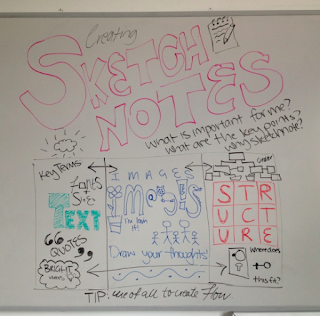 Summary sketchnoting would be useful as a reflective process at the end of the lesson. Students could create a sketchnote to summarise the key ideas from a lesson, as well as possible ideas they need to know more about. 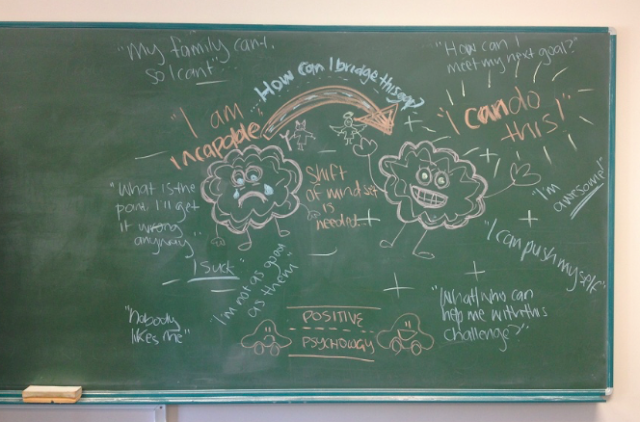 Thus, a summative sketchnote is also a summative and formative assessment of student learning and whether they have met/understood the learning intentions for the lesson, in order to plan for lessons following. I believe this tool would be useful in the classroom as a different way to engage with and reflect upon learning. Students are often asked to take notes and then study the main messages of a lecture/presentation/lesson, which can become mundane and repetitive. Incorporating drawings into a sketchnote enables the learner to think about how the ideas can be represented in a different way, or they may simply prefer to draw than write. In order to teach how to sketchnote, I would encourage students of the three major components of sketchnoting; text, images and structure. Inclusion of all three ensure for an effective sketchnote for the present and the future. in addition, I would encourage students to draw for themselves, not for others. Their sketchnote may be shared with others, however they do not need to understand it - only the person who created it does. A sketchnote can be very personalised, to make sense to the creator, not constructed with other people in mind. I believe this would ensure true self reflection and engagement with the sketchnote as well as the lesson content. My blackboard sketchnote is my current though process around my dissertation and further study - but that is difficult to see for someone who sees it for the first time. Conference 2017 - Bring It On!